You are here: Home / Adam in the Media / Adam Lambert’s Music in Television Promo! 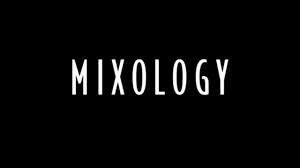 ABC has a new show called Mixology and if their commercial music choice is any indication, it should be very good! Mixology looks like the new Friends. Take a look – I’m sure you’ll hear something very familiar! Adam isn’t on this show, but their use of Lay Me Down by Avicii and Adam is a great way to start his professional year. It debuts in February and is from The Hangover writers. Hopefully it will be funny. Please excuse the amateur video quality – I shot it off a commercial. Very cool! It’s always good to get out there and hopefully pick up a few new fans! This is great news. And apparently Brian May is doing better and a Queen concert or mini tour might be a reality. I am hoping for big things next year. This is a start. Thanks Carol. I just miss our Adam so much. Can never get enough of him. Moved to South Florida on Dec. 1 only to find out he’d performed 45 minutes away the night before! You can imagine how heartbroken I was. I understand he has no touring dates for ’14 as of yet. Adam, come down to sunny FL soon! I miss you so much. 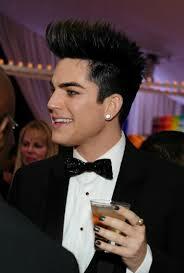 Why do people keep asking me, “What happened to ADAM Lambert? Don’t see him around.” What the heck! He’s doing great! Wasn’t he just listed as like the 3rd most successful AI contestant? What do they want the poor boy to do…..